How Bernard Lovell's telescope was used by both the Americans and the Russians to track their competing spacecraft and put Britain at the forefront of radio astronomy. The unlikely story of how one man with some ex-WWII army equipment eventually turned a muddy field in Cheshire into a key site in the space race. That man was Bernard Lovell, and his telescope at Jodrell Bank would be used at the height of the Cold War by both the Americans and the Russians to track their competing spacecraft. 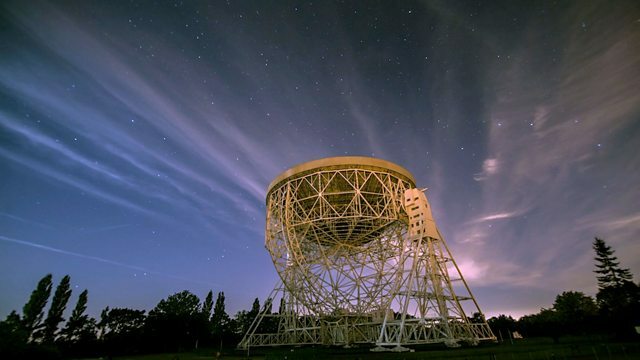 It also put Britain at the forefront of radio astronomy, a new science which transformed our knowledge of space and provided the key to understanding the most mind-bending theory of the beginnings of the universe - the Big Bang.